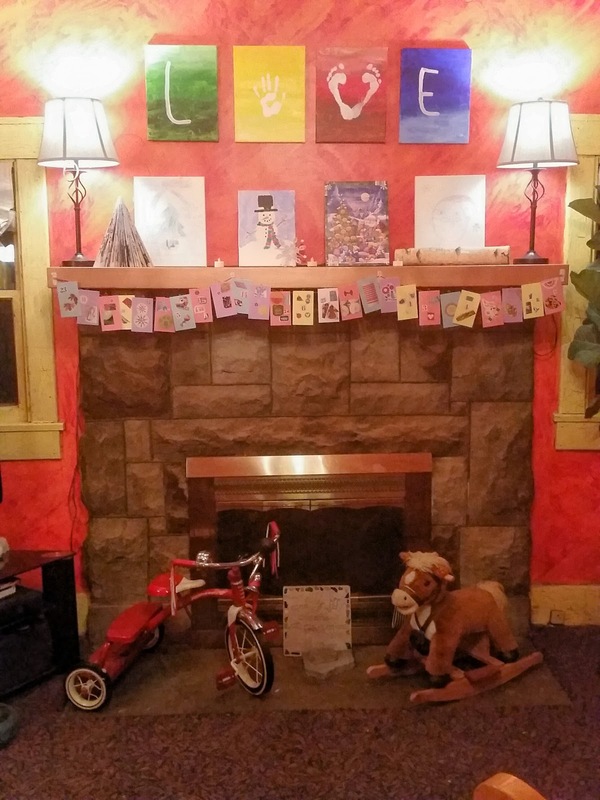 First comes the decorating of the mantel so as to be ready to receive the Advent Calendar. 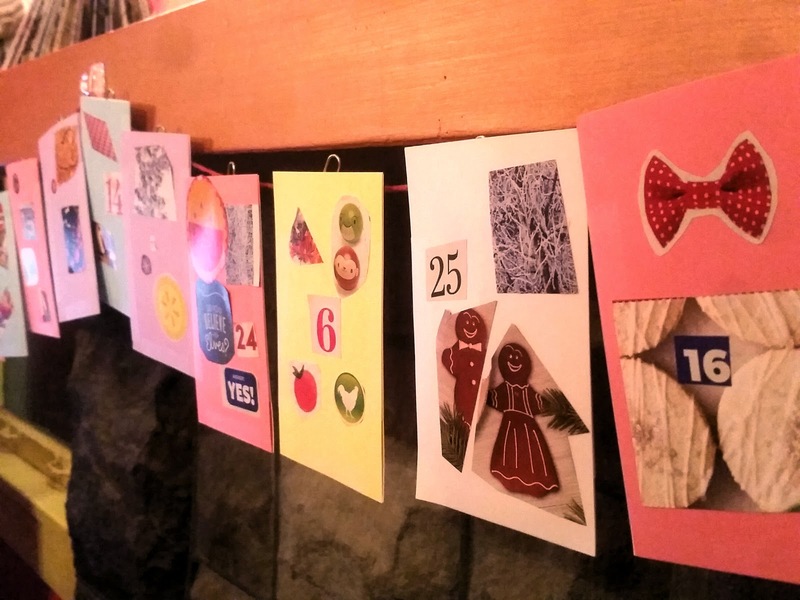 Next comes the Advent Calendar, which we always make from whatever we have in the house the last day of November. (This year that was multi-colored index cards.) We always cut pictures and numbers out of magazines or newspapers and paste them on the pockets, and we hand the pockets in random order on a piece of yarn. 6 and 25 always go in the center. 6 is my birthday. 25 is someone else's birthday, but He is gracious enough to let us get all the presents. And then: THE ADVENT GOBLINS COME! For this first day of Advent, the goblins told us that today is National Eat a Red Apple Day! 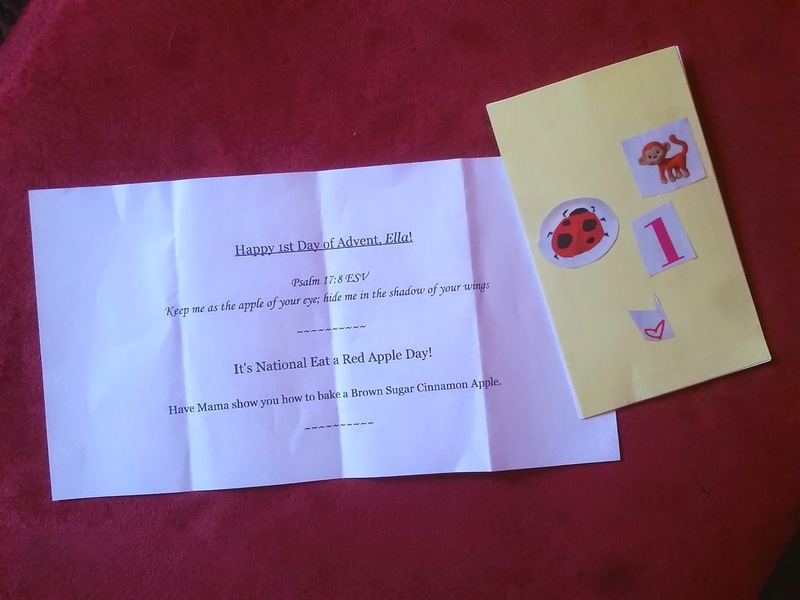 They gave Ella a bible verse and a shiny red apple, and they told her to have me teach her to bake a Brown Sugar Cinnamon Apple. The note that was in the pocket. "Keep me as the apple of your eye; hide me in the shadow of your wings." Mix some cinnamon into some brown sugar. As much or as little cinnamon as you like. You can use other spices too - nutmeg and/or cloves are nice. 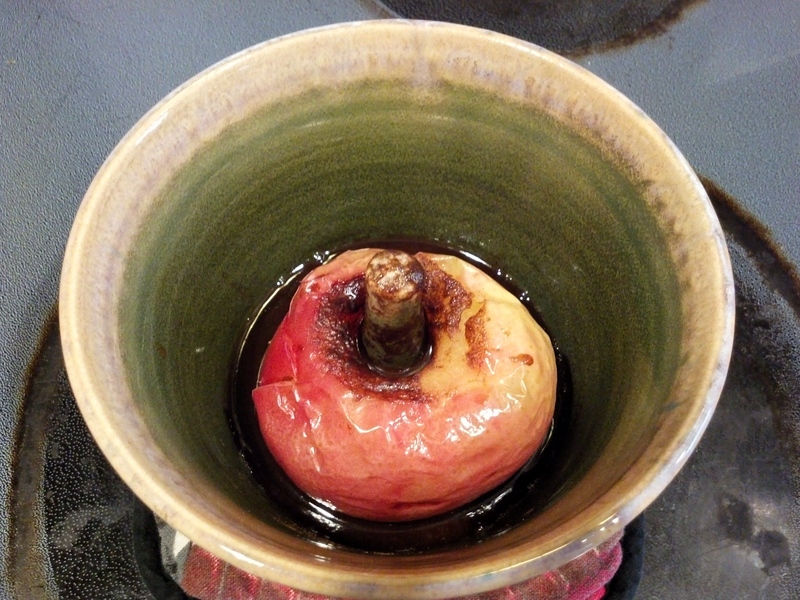 Put the apple in an apple baker or any container that is oven safe. Stuff the opening with as much brown sugar as you can - pack it in tight - and top with a pat of butter. I love how the center thingie in the apple baker ends up looking like an apple stem. I'll be back in a bit with my final report on The Minimalist Game. First, I have to eat a baked apple. Advent Day 3: We're makers. So we make things.